Today was all about the sky. At the start of our class, we all went outside and looked up; at the colour blue that is intense higher up, but fades lighter toward the horizon, and at the clouds which are not just white but contain other shades, going from bright to dark. Then we went back inside and tried to paint that. 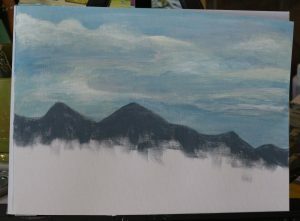 Then we picked photos from old National Geographic magazines, and spent more time painting sky. 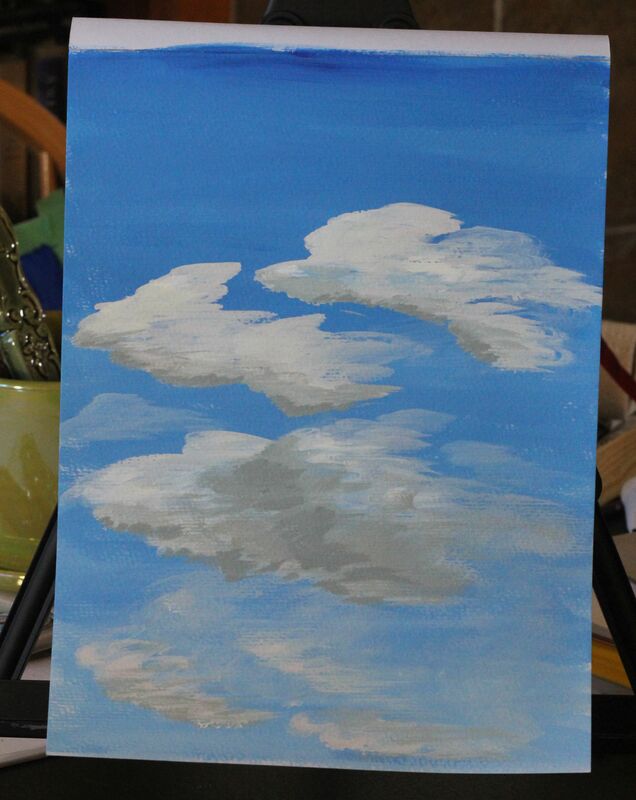 There was more to the pictures I was working from, obviously, but we were focused on painting clouds. 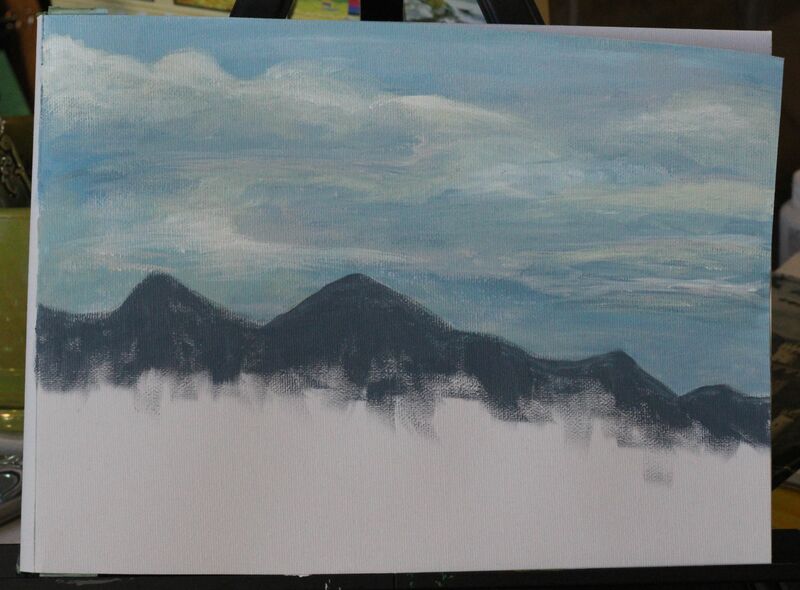 I added the skyline of mountains at the end, just to give me some delineation. Believe it or not, after spending 2 1/2 hours painting clouds, I want to do more. Maybe next weekend. Our next (and last) class is in two weeks time (since next weekend is Easter, we have no class) and if the weather cooperates, we will be taking our class outdoors. Should be interesting! This entry was posted in Art Diaries, Painting. Bookmark the permalink.